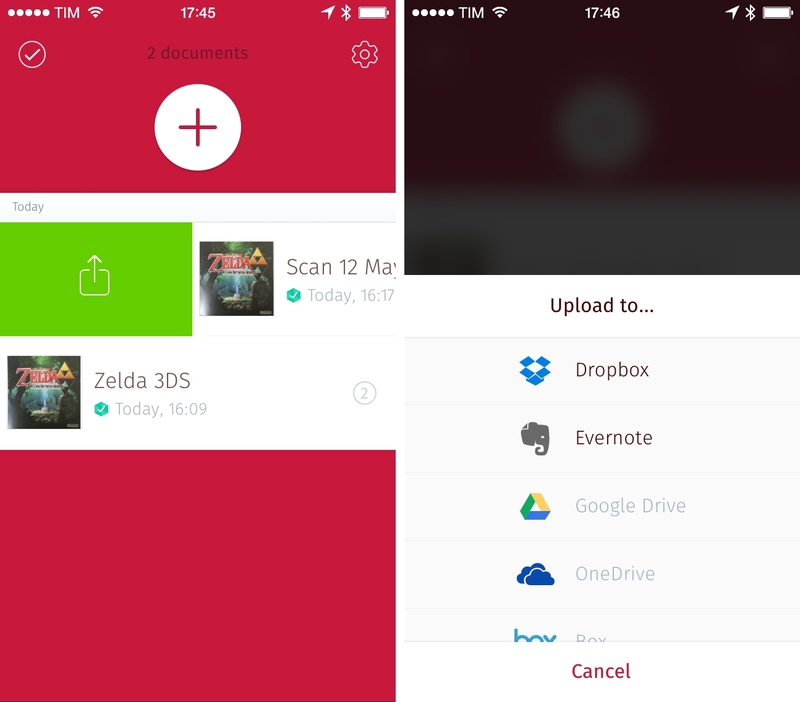 Created by doo (makers of a now-discontinued document manager), Scanbot is a fast and elegant mobile scanner that I've been using for the past couple of weeks to digitize documents and receipts on my iPhone 5s with good results. There's no scarcity of scanner apps for iOS: once the iPhone's camera got to an acceptable degree of quality (with the iPhone 4 and 4S), the category of mobile scanners exploded as developers could finally combine the benefits of a portable camera with a touch interface and connected services for cloud storage. 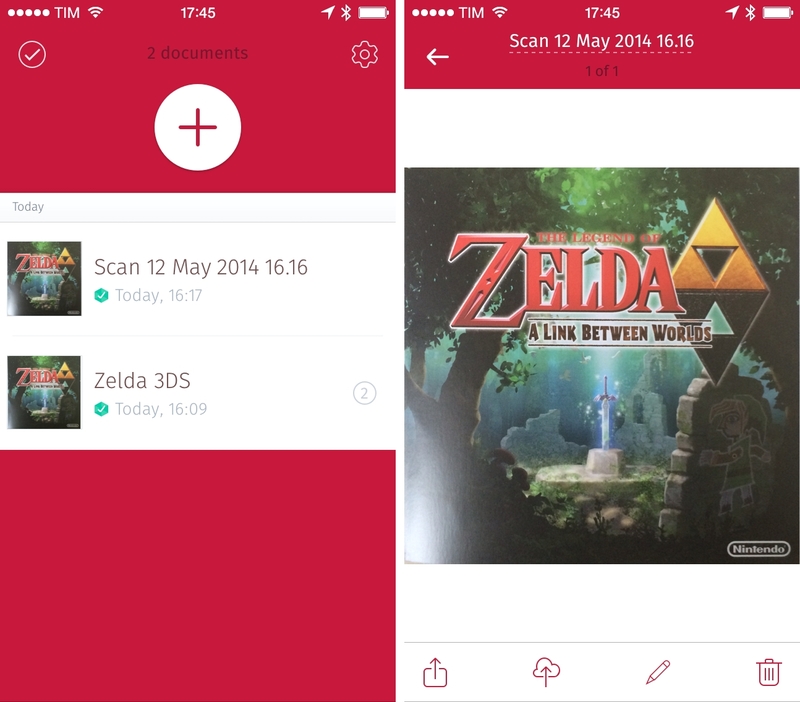 I've been using Readdle's Scanner Pro on my iPhone and iPad for years, and while the app always performed admirably, I was intrigued by Scanbot's modern design (the app was built exclusively for iOS 7). Scanbot covers the basics of mobile scanners well: it's got color schemes for captured scans; it can save PDFs at 200 dpi and automatically send them to a variety of web services (including Dropbox, Evernote, and Google Drive); and, it can handle multiple pages per scan as well as editing features such as manual border cropping and annotations. Scanbot looks fairly obvious on the surface, as it doesn't reinvent the way a mobile scanner is supposed to work on iOS – the app's features can be found in other similar apps, while more advanced ones haven't been added to Scanbot yet. In my experience, however, I realized that Scanbot excels at smaller interaction details that, in spite of some missing features, make the app more intuitive and fun to use on iOS 7. In the camera view, the app displays on-screen messages to let you know whether it's too dark or if you need to rotate your iPhone to better capture a document1. Toggles at the bottom allow you to enable multi-page scans and to pick existing images from the Camera Roll, while a button at the top quickly toggles the camera flash without relying on Apple's slower menu with On/Auto/Off options. My favorite aspect of Scanbot's scanning process is that you don't have to tap the shutter button at all: the app will automatically detect borders (like other apps) and take a picture as soon as your hand stops moving and the view is stabilized. I found Scanbot's automatic border detection to be accurate, fast, and overall superior to other apps; because of its implementation, taking pictures in Scanbot is extremely quick, which helps in removing friction and annoyance when you're trying to capture multiple documents in a single session. This also makes Scanbot well-suited for on the go scanning: it's easy to open the app, hold up a receipt or business card, wait a couple of seconds, then forget about it. Scanned documents are saved in a screen that shows a large “+” button at the top to instantly return to the camera mode. What I truly like, though, is the fact that you don't have to tap the button to switch modes: simply pull down, and you'll be back in the Camera; from there, you can pull up again and you'll be back in the document library. Gestures are also available for sharing and document management in a Mailbox-like fashion: short-swipe to the right to share, long-swipe to email a file, and long-tap to bring up the Upload menu. Scanbot is a new product and it's already covered a good range of features, but it doesn't come with all the functionalities found in more mature solutions such as Scanner Pro. For instance, in spite of having an option to automatically save JPEGs to the iOS photo library, automatic uploads are limited to PDFs and there's no way to manually export scans as images to other apps. There are no settings for passcode lock and data protection (both available in Scanner Pro) and, at this point, Scanbot is only available on the iPhone with no iPad version yet. 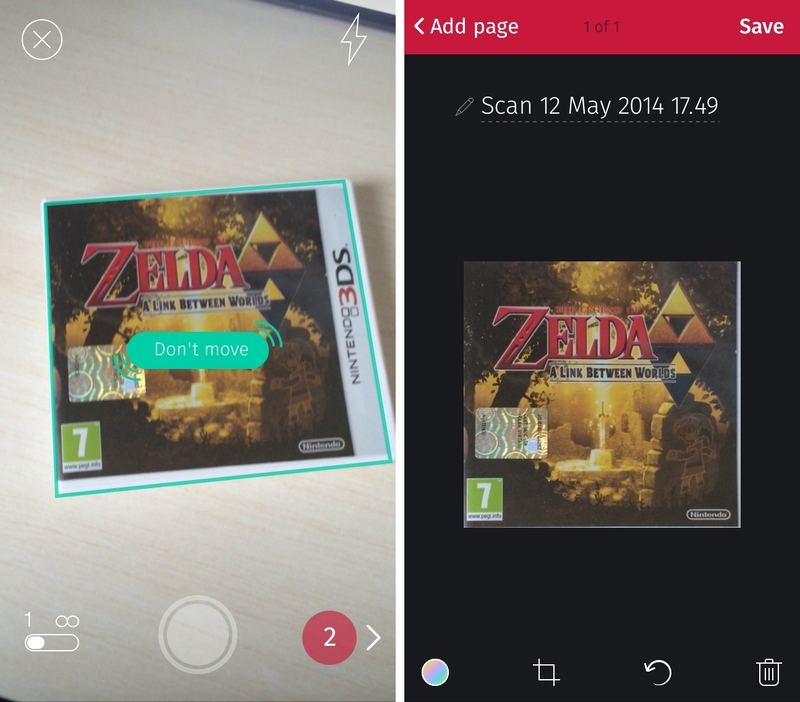 In my tests, Scanbot worked well for receipts and black & white documents, but colors of scanned manuals and magazines looked a bit washed out when compared to JPEG files generated by Scanner Pro. Scanbot makes up for missing features and less versatile exporting options with a delightful user experience and clean interface for iOS 7. The app's combination of gestures and automatic border detection in the camera mode makes scanning fast and fun, and a prominent use of color keeps the app interesting and differentiates between content and tappable elements. While I wouldn't recommend Scanbot to digitize your entire collection old photographs and magazines (for that, look at something like the Doxie Flip), I enjoyed the app's simplicity and speed for receipts and other quick scans, and I'm looking forward to updates and an iPad version. Scanbot is $1.99 on the App Store.